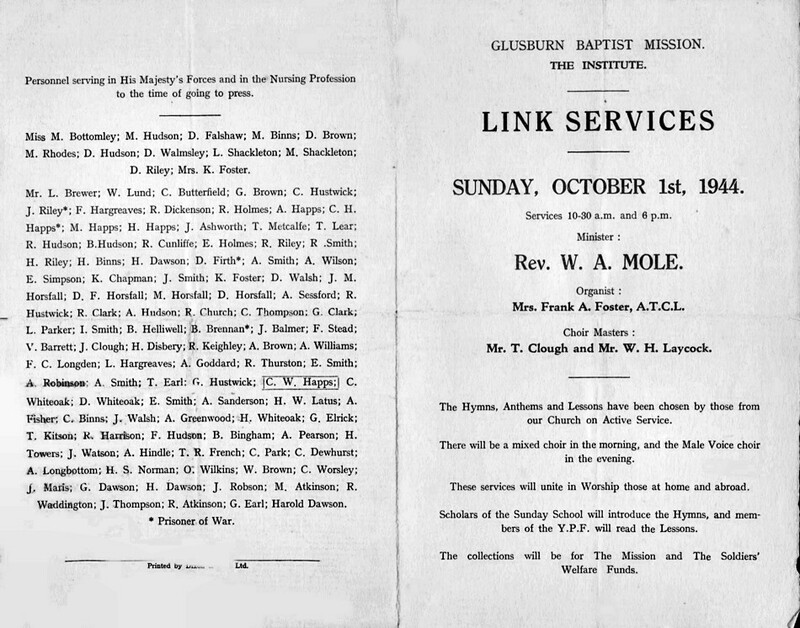 Brenda Parsons sent details of the Link Services Programme dated Sunday October 1st, 1944. Brenda's notes are included below the images, click on each image to see a larger version. 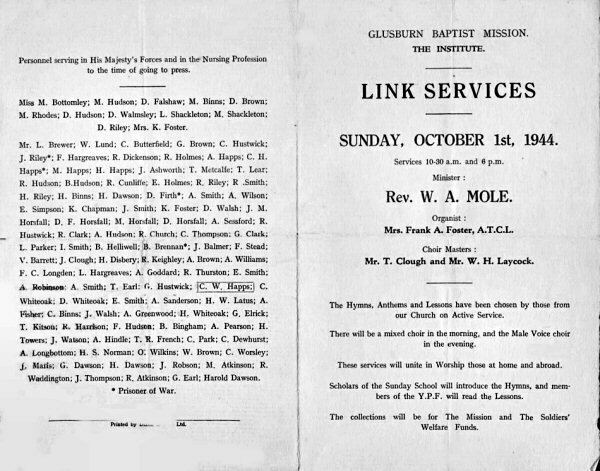 This side gives the details of two services organised by the Glusburn Baptist Mission for those on Active Service. The venue seems to be the Intstitute, presumably Glusburn or could it have been Sutton, anybody know anything about this? I think these lads were all brothers but not absolutely sure, it would be nice if anyone could provide the missing names. Does anyone else have a family member, friend or aquaintance on the list and did they make it back? 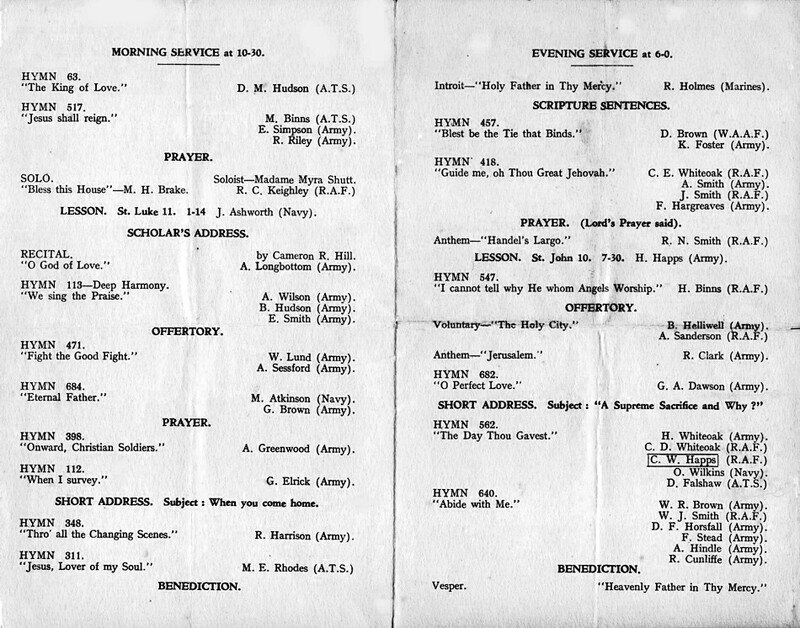 Is there anybody out there who attended either service? This side gives the order of service for the morning and evening services, apparently the hymns, prayers, readings etc were chosen by the people whose names appear beside each item. It must have been organised well in advance as Dad was killed in July of 1944. Lots of familiar old hymn tunes there, eh chaps?